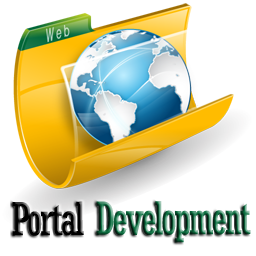 Portals are an effective tool in managing your information and services. They work with different web based applications and create united surroundings that support visitors to access the information and services depend on their certain roles in the company. At Webic Studio, we design, plan and create unique portals for you that – offer knowledge and services based on user’s profile, let diverse sections to modernize their own details, demand only a particular login to approach all important details and services. Whether you want to have an intranet portal or social networking portal, we assist you in creating a dialogue and collaboration platform that caters all your requirements. We can also make easy the meeting process by focusing directly on visitors, departments and organizations involved in the project and develop a set of requirements that all parties have consensus on. We offer a well-matched Portal design for your commerce with very easy direction finding, creating it very simple and flat for viewers to go through the products and services, changing them into real clients. User readability is considered at the top to create the web development solutions helpful and important for the consumers, causing in developed commerce productivity. With all our development projects we stick to find the best solution that match all users and organizational requirements. We make leading portal and collaboration platforms and build portals that are simple to use and simplify your commerce processes. If you have any query related to portal development, we will happy to discuss problems with you and bring you the best solutions that will definitely fit on your criteria. Drop a mail or call us, we will happy to assist you.